If you are a reader of this blog, chances are you have children. And if you have children, chances are you understand that finding a quality child care/early learning environment can be overwhelming and time consuming. That’s where Child Care Resource Center (CCRC) can help. Child Care Resource Center is your local child care resource and referral agency that works to Engage Families, Enrich Child Care and Enhance Communities. We Engage Families by providing the tools you need to make the best decision about child care for your child and your family. In consultation with your CCRC Parent Specialist, you will learn about indicators of quality that you can look for as you visit potential child care programs. You will receive a tool kit that provides a list of questions you can ask each child care provider to learn more about their program and how they will care for your child, information about North Carolina’s quality rating system for child care programs and how this system is linked to the quality of care your child will receive. You want the best for your child. Your child needs a child care provider, whether an in-home nanny or a child care program, that will keep him/her healthy, safe, and learning. There are many types of child care arrangements to choose from and there is no one-size-fits-all. Maybe you need full-time care for your newborn so you can return to your career. Or you may need a half-day preschool program that will help your child develop the social and school readiness skills to begin a successful school career. Or perhaps your school-age child needs a summer camp that reflects his interests and provides care for the hours he would normally be in school. Talking with a parent specialist can help you in your search for a child care arrangement that best fits your child and your family’s needs. Home of the largest database of child care programs in the region, CCRC offers a combination of free and fee-based services (including a nanny search service) to suit the needs of all families. 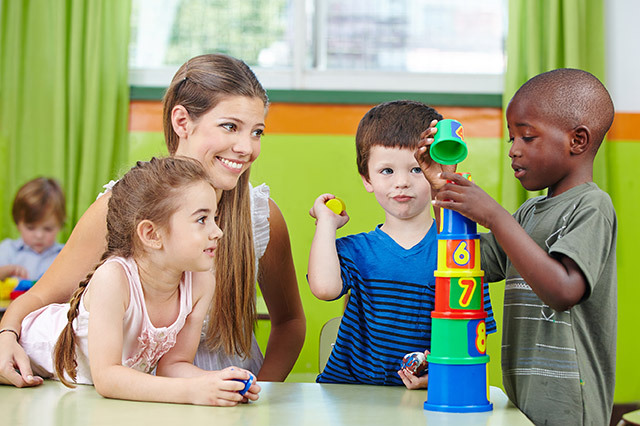 We Enrich Child Care by providing professional development and on-site coaching to Child Care Professionals. Topics such as CPR/First Aid, cultural competence, early inclusion, child development, developmentally appropriate curriculum and managing challenging behaviors increase provider knowledge. Observation, modeling, coaching, and feedback provide opportunities for teachers to put the new knowledge into practice and to increase their capacity to work more effectively with your child. We Enhance Communities by advocating for quality child care and for adequate wages for child care professionals. We believe that quality child care/early learning experiences set the groundwork for future learning, and we stress the link between quality child care, school readiness and future workforce preparedness. Studies prove that children who have access to high quality early learning education are better prepared to enter kindergarten and are more successful in life.